Rina's Rainbow: Pastry Armoire's New Sticky Buns Flavors and their Mother's Day Promo! Pastry Armoire's New Sticky Buns Flavors and their Mother's Day Promo! It's Mother's Day Month! (You get what I mean). And if you're a first time mom like I was 4 years ago, you would have that exciting feeling in your stomach as you realize how big of a deal being a mom really is. IT'S HARD! And celebrating your first Mother's Day will make you say "Heck yeah! It's my day! I'm expecting my special treatment any minute now!" Haha! And so we really appreciate it when delicious establishments whip up a special promotion for moms on Mother's Day! Pastry Armoire, a delicious little shop in BF Homes, has 4 new sticky buns flavors this year, just in time for a Mother's Day Promotion! Sticky buns are sweet, rich, yeast doughs that are baked upside down with a sticky topping, usually made of sugar, honey &/or corn syrup. But Pastry Armoire's twist is their variety of flavors to set it apart from the original Cinnamon Pecan Sticky Bun. These buns are baked in the sticky syrup itself, hence the name Sticky Buns. It's great to eat with coffee, or with a scoop of ice cream! Yum!!! 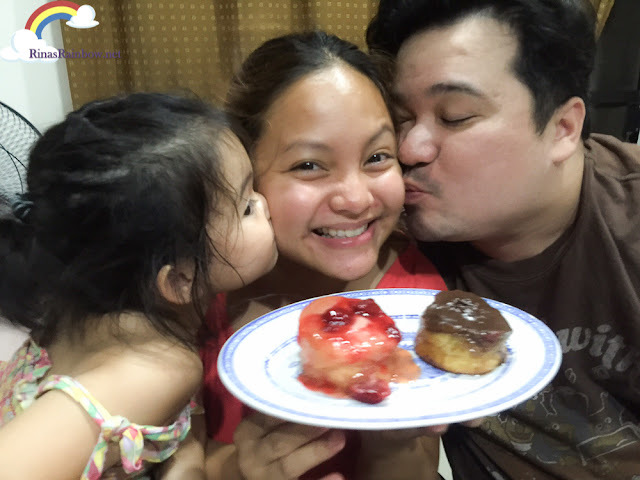 Strawberry lovers unite! 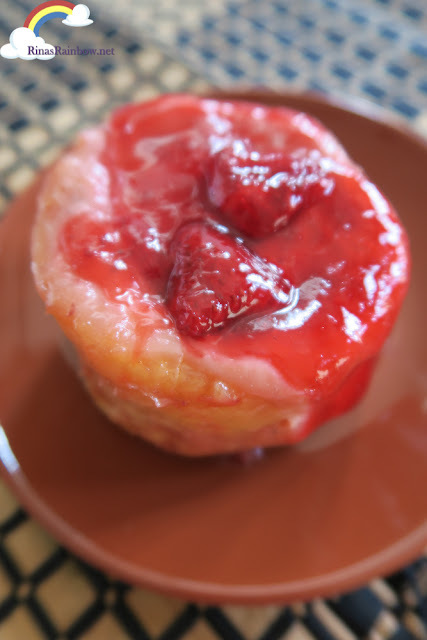 The Strawberry Sticky Bun is a Sweet buttery roll, oozing with strawberry butter, smothered in strawberry sticky sauce and finished with a dollop of strawberry compote. Could this be any more strawberry? 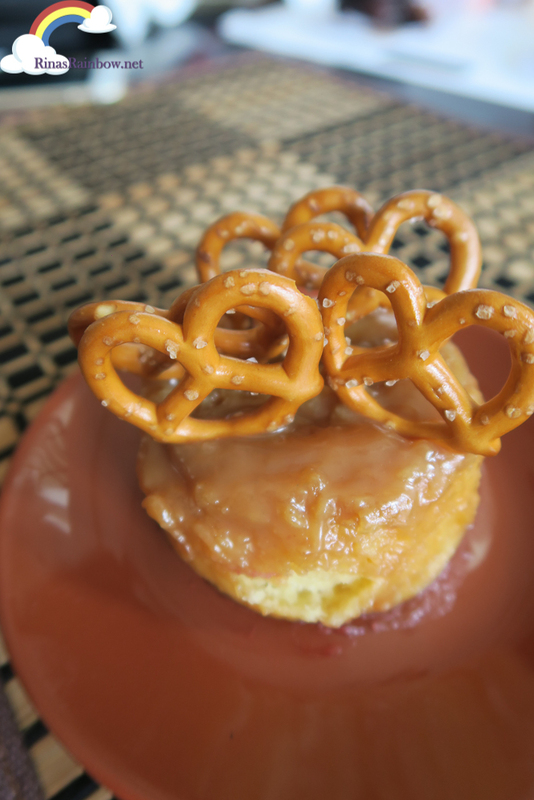 The Salted Caramel Sticky Bun is a sweet buttery roll filled with salted caramel butter, coated with salted caramel sticky sauce, and topped with pretzels. It's a nice mix of sweet and salty! 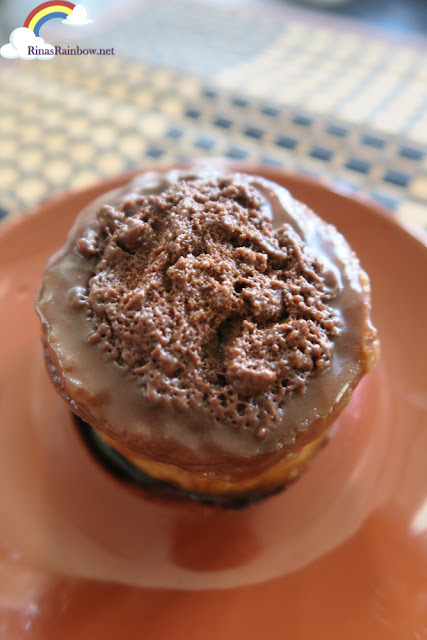 The Milo Dinosaur Sticky Bun, so far my favorite, is a sweet buttery roll filled with Milo butter, smothered in Milo sauce and topped with Milo powder. I'm a milo kid! I grew up drinking milo and also occasionally eating it in its powder form. I guess this is also why I love this flavor! 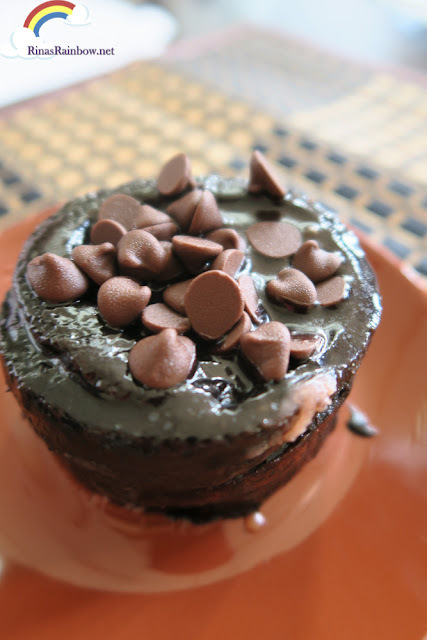 The Mocha Chocolate Chip Sticky Bun, another chocolaty goodness, is a sweet buttery roll filled with chocolate butter , coated with coffee chocolate sticky sauce and then generously topped with chocolate chips. First off, if you need to store it for a few days, wrap it well and store it in the freezer as fact is that refrigerating breads make them dry out faster (something new I learned today!) The sticky buns will last for 1 month if stored in the freezer. So to reheat, preheat oven to 350 degrees Fahrenheit, then wrap the frozen buns in aluminum foil and then warm for 10 minutes. So, going back to Mother's Day, Pastry Armoire is holding their Mother's Day Promo where the prizes are these delicious sticky buns! one (1) box of 6 pieces assorted Sticky buns! All you need to do is: 1. 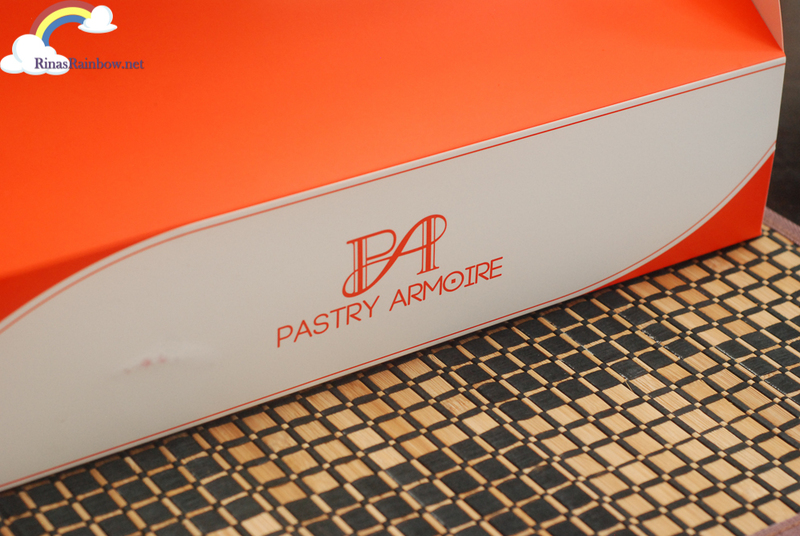 Follow and like all Pastry Armoire social media accounts. Facebook & Instagram: @pastryarmoire. and set it to PUBLIC. 3. Promo period is from May 1 - May 31, 2016 only. 4. Winners should claim their gift within three (3) days upon receipt of voucher. So hurry and join and post! You wouldn't want to miss winning these delicious sticky buns, I promise you! Happy Mother's Day to all moms!!! Mother’s Day is celebrated for our family most special person our mother. Mother is a god gift for all people in the world. Every son/daughter is celebrated Mother’s Day for their mother; they express their feelings, love, and joy with their mom. Mother’s Day is celebrated in all over the world on different days; cute mothers day quotes it means Mothers Day Date is not same in all over the world. In most countries, Mother’s Day is celebrated second Sunday of month May. Mother’s Day was first celebrated in 1908 when Anna Jarvis held a memorial for her mother at St Andrew’s Methodist Church in Grafton, West Virginia. St Andrew’s Methodist Church now holds the International Mother’s Day Shrine.